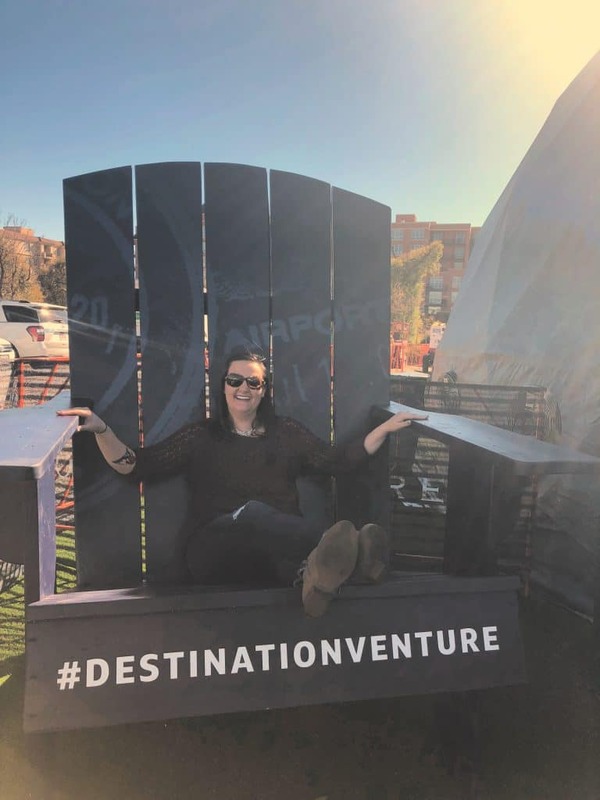 Preparing for any adventure takes planning, luckily, you can do a little travel right here in Colorado at the Capital One Venture Dome! 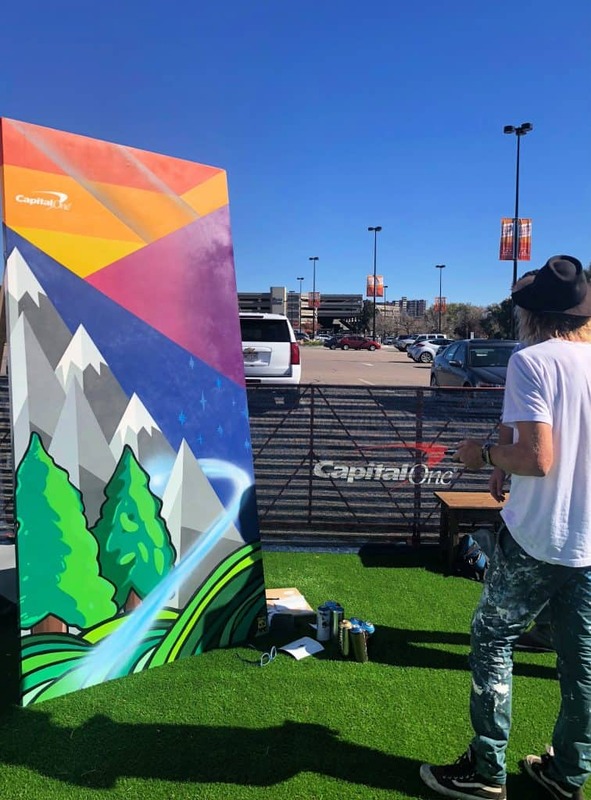 Thank you to Capital One for sponsoring this post. Colorado is full of adventure. I have lived in this beautiful state my entire life and although I feel like I have experienced a large portion of this state, there is so much that is out there to experience. 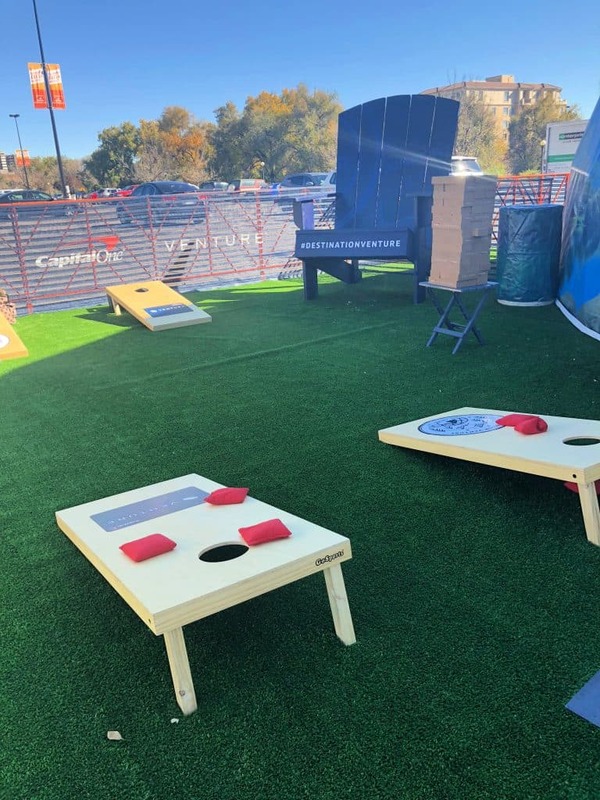 I had the opportunity to attend the amazing Capital One Venture Dome at Cherry Creek Shopping Center this past weekend and had an incredible time. 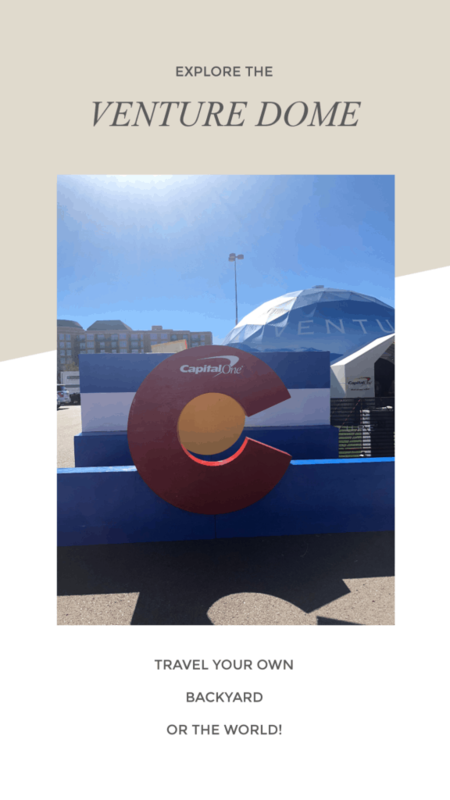 The Capital One Venture Dome set out to help Denverites explore their own backyard and allowed attendees a chance to taste, experience and immerse ourselves in varying cultures. There was truly something for everyone and so much to do. Themed with all things that really represent our great state and some awesome surprises from around the world, it was a welcoming and exciting event to attend. I was only supposed to pop in for a short time, but I was having such a nice time, I stayed and experienced as much as I possibly could. 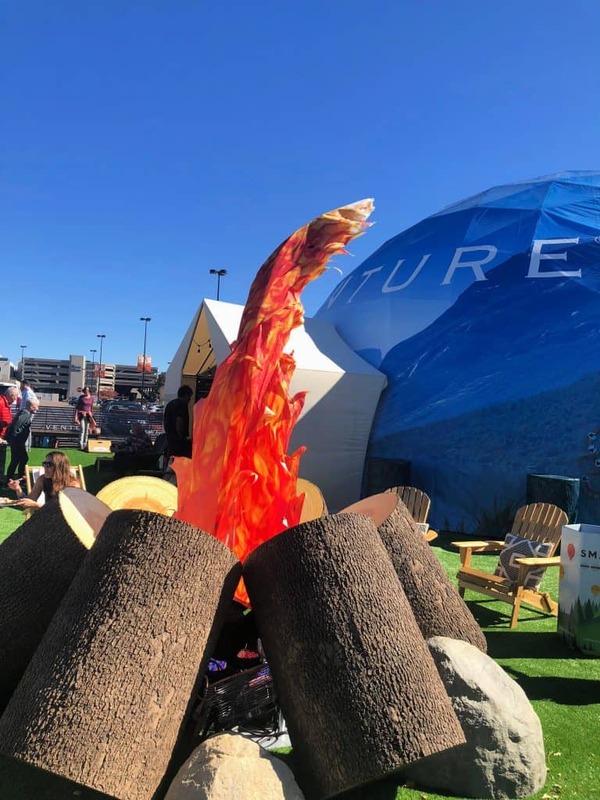 With a huge campfire complete with tasty marshmallows and great music, to outdoor games and those famous Adirondack chairs that grace every facet of our ski towns, the Venture dome’s exterior was so inviting and fun that people were flocking to experience everything. 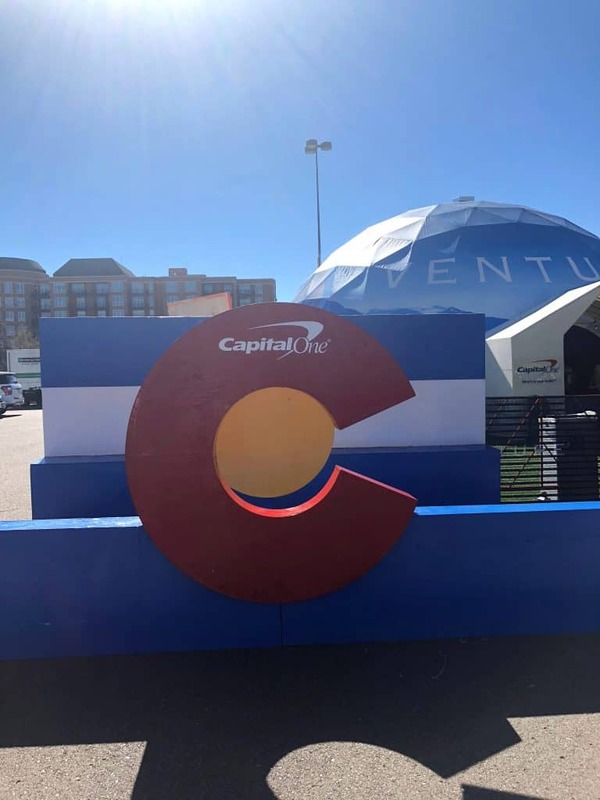 The dome itself is representative of how the Capital One Venture card rewards and encourages cardholders to travel, explore and experience something new, be it near or far. 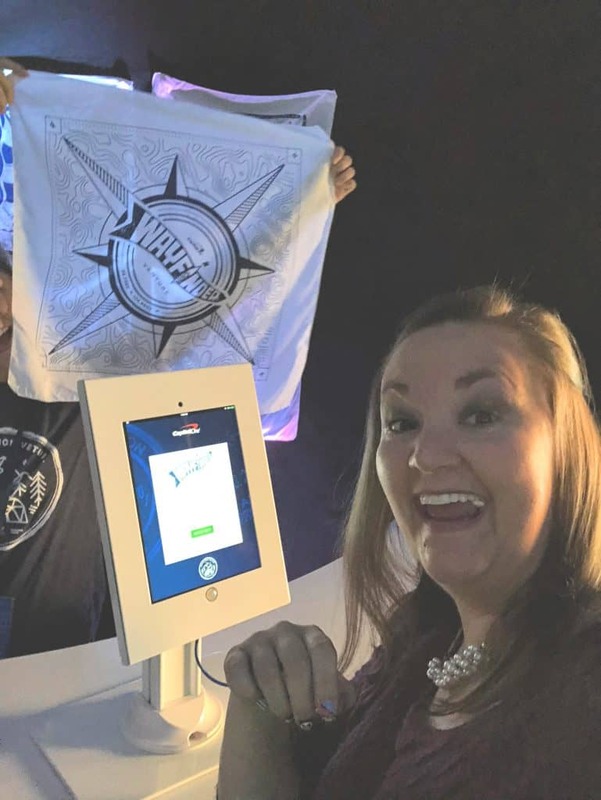 From virtual reality skiing experiences, to an astonishing 360º projection screen showcasing some of the most captivating and inspiring travel destinations to airbrush tattoos there was so much to experience. 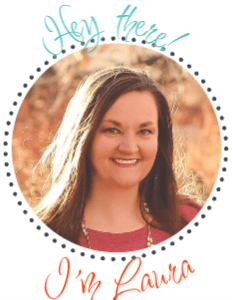 I made it a point to take the quick quiz to find out what type of traveler I am. Of course “wayfinder” came out as my traveler type. I am absolutely one of those people that wants to see and do everything that the world has to offer, so I completely agreed with this outcome. Plus, they gave out super cool bandanas for your travel type! One fun experience that I was able to enjoy was meeting professional snowboarder Red Gerard. He happened to pop in the dome while I was there and he was a super sweet kid. It was also really impressive to watch him on the virtual reality ski simulator. We learned that he has never actually been on skis, however, you would never be able to tell, he mastered that simulator. Just like a typical wayfinder, I had to try it all. I got a sweet red yeti airbrush tattoo and had to jump in the destination venture photo booth. I was game for it all and I think I was laughing the entire time as we shot the photo! I truly had a fantastic time exploring and checking out the Venture Dome. Take that adventure in your own backyard and check out all the Venture Dome has to offer. Previous Post: « Add Comfort and Style to Your Fall Wardrobe with Wiivv!